Wow! Today marks four weeks since I began my Rural Youth Study Tour also known as IFYE experience. I arrived in Washington, D.C. where I meet other IFYE's coming to various places in the USA and also meet the out going IFYE's that were leaving the state. This weekend was a great time to get to know everyone so that we could contact each other during our stay if we wished. As well as orientation information, we had some getting to know you introduction games and we each gave a presentation on our home area / country. We did find out a lot more over a quiet ale in the over 21's area though. I even taught the pyramid game. Monday it was time to fly to our respective states, Anna and I were Illinois bound. Anna is 19 years old from Finland the oldest of six children, her first language is Finish but has studied English for over 10 years, sling with a smaller amount of French and German. It was funny when we started talking to our host families, it was me that they couldn't understand as I talk too fast and like we do in Australia- we shorten words to slang - so when I get one of those really blank looks on a face I one need to repeat and talk slower and or two change some words to help also. My host family run their own cattle enterprise with about 400 head at the moment - all housed inside a barn all year round! All given a daily ration every day! Sadly four years ago their large barn below down in a tornado. Part has been re built and they plan to have numbers back up to 800 in the coming 12-18 months. The barn doesn't take up much room on the farm and the rest is used for cropping wheat, soy beans and corn. Dependant on the market if it's all sold or kept for feeding cattle during the year. I have also been given a tour of a dairy farm milking 800 cows in a herringbone shed, raising all heifers and calves on farm - everything is under cover! I have also done some touristy things as well which included a trip to the arch, the Budwiser Brewery - behind the scenes tour as an older brother is a manger there. Conversation apps have also been a life saver when trying to work out size and difference between us and them. I am now two months in to my exchange and having a great time. The last report was the end of my first host family in southern Illinois. Anna and I were driven up to Springfield, the capital and about half an hour way. It was a very sad good bye, the Richter and Weis had become like family! I was to moved to Aledo to stay with Cara. Anna went to a nearby county, which is on the western side of Illinois about two thirds of the way up the state and three hours west from Chicago. It was late Saturday when we arrived at Cara's and was rather interesting. Next morning was up to church, not a habit that I am normally in, but for most it's a normal Sunday morning. Cara picks up another lady from the nursing home to take to church so we collected her, went to church and had a little morning tea following then went out for brunch. We had a slight tour of the town and it was time to drop Anna of with her host family who had been away at a fair for the week. We also decided to stay at her brothers which had a bit more room, so I moved my case again. It was looking to be a jam packed few weeks starting at 6am Monday morning leaving to visit an Amish community about two hours away and to get there when the stores open at 8am. We got there by 8:05 and there wasn't many people like she thought there would be, so we got her bargains and then went visiting sound the people she knew. I saw a tie stall barn where they tie the cows up and then hook pressurised cups on the cows to milk, the milk is tipped in to the vat through a filter. The Amish have no electricity but generators are ok, so you then need to turn the generator on and off during the day to keep the milk at the correct temperature, regularly testing the milk during the day. Other places around the Amish was a bakery with fabulous pastry and cool gift shop. Then we went to a friend's house who had a goat milking shed. It was fascinating to see how it all worked, sadly no goats at the time but still interesting. The Amish don't wear shoes in the summer, inside or out, muddy or clean yards or paddock, they just rinse their feet before going in the house. We spent a bit of time in and around what is called the quad cities area, here I got to see John Deere Commons, the home of John Deere and his history. We attended the Mississippi Valley Fair watching the dairy show and then three bands over three nights. The main part of this host was a trip to New Hampshire to see her daughter we and give me a taste of America, over 1200 miles (1931+ km) to the east. It was pretty straight driving for two and a half days to get there. We did detour in to Niagara Falls and jumped across the boarder where I was able to see Niagara Falls from the Canadian side which meant I could see both the USA and Canadian falls at the same time. There was quiet a lot of mist coming off the falls, but was nice to cool the hot mugginess of the day. We arrived at Haverhill, New Hampshire Friday afternoon and over the weekend was able to experience a gorge, covered bridges, putting my feet in the Atlantic ocean, fresh lobster, Boston and the yummy treat Ben and Jerry's ice cream factory. After a packed five days we started heading home, this time we went via Canada for a change of scenery. We drove through Ottawa, the Canadian capital, and there was a lights show on the Parliament House which was amazing to watch. We continued pretty hard the next day in need to having 24 hours to get the rent a car back on time. We were going through Chicago. We navigated in to the centre to Bub City where the Wolfe Bros were playing. Playing to such a different crowd than what they do at home, it was amazing to be there and then catch up with them after the show. When we dropped the car off the next morning it had 3,734 miles (6,009km) for the 10 days. For the final week back at Aledo it was a bit more on the quiet side with some jobs around the house before we left on Monday to go a Home & Community Education (HCE) (our equivalent to Country Women's Association - CWA) conference which Cara is the district (region) president. I spoke at this with some photos telling them about where I work and what Rural Youth is in Tasmania and also a radio interview that can be found at http://wrmj.com/668911-2/. To finish up the afternoon at HCE, they had some group meetings and I was lucky enough to to receive a quilted cushion cover. It was then time and Natasha my next host had arrived to pick me up, then for the two hour drive up to Richmond, northern Illinois for the last host in Illinois. Since last month report I moved from Aledo, western Illinois to Richmond, northern Illinois about two hours north of Chicago and only five minutes from the Wisconsin border. My time there was spent doing a lot more work. My host Natasha worked at Main Stay Therapeutic Farm which conducted horse lessons for people with disabilities and ran other programs for people with disabilities with smaller stock like miniature horses, miniature donkeys and sheep. Natasha is a stable hand and had the responsibilities to feed the animals each morning and clean up all the poop from overnight. So while I was an extra there I couldn't really handle the animals, particularly the horses so I got pretty good at opening and shutting gates to bring them in for their morning feed. Once they were all feed and sent back to their paddocks was I able to help clean the poop up that they had left in their night paddocks, got pretty good at it after a few days. The Main Stay operation started 30 years ago and in still running strong today. It is fully funded by private donations and the riding lessons. Only 15% of the operational cost comes from the lessons, it's 85% which comes from private donations. I found this pretty amazing. They employ about 20 people (mostly in a part time capacity) in the stables, to the office & administration and grounds men. 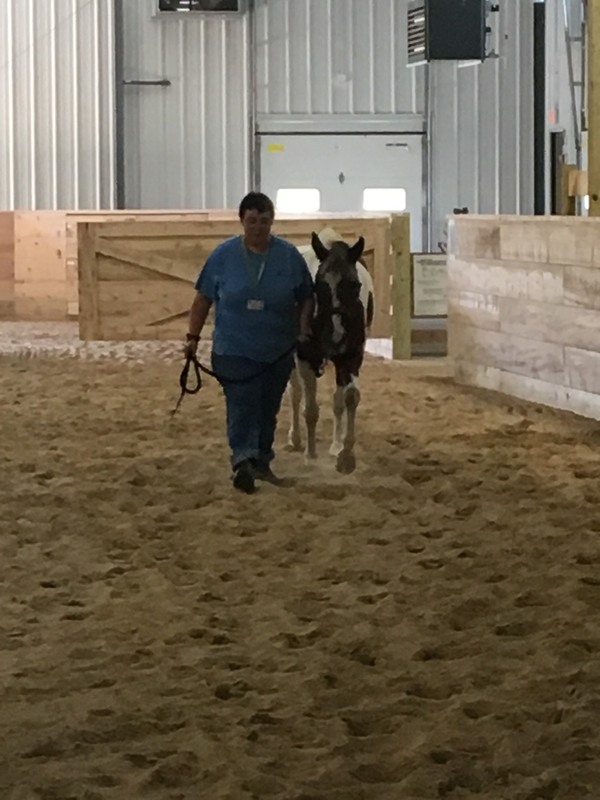 The rest of the help comes from volunteers to assist with the riding lessons from grooming the horses to saddling up and then leading or side walking. In the last year their records show over 10,000 hours of volunteer work. 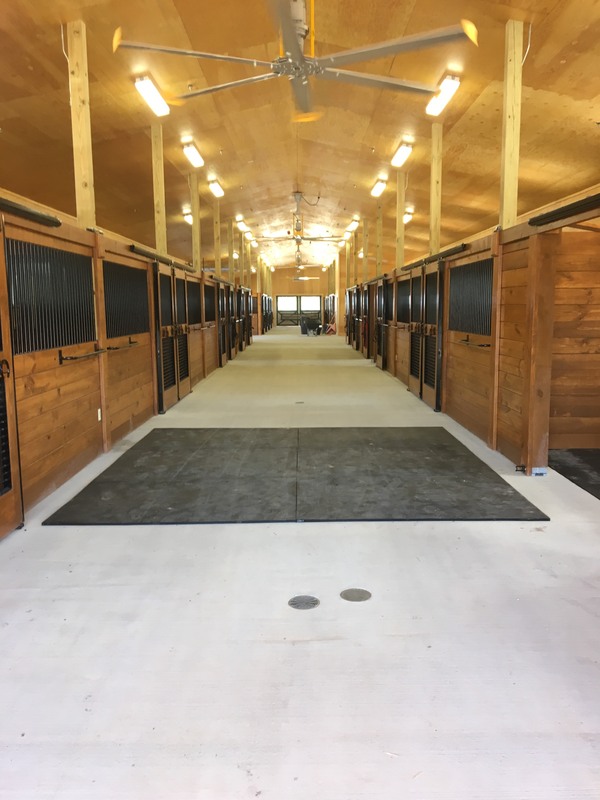 What started as a dream years ago, planning started 10 years ago and the fundraising and building part over the last four years, they have just moved in to a fantastic new facility upgrading from 10 inside stalls for 13 horses to now 20 stalls, four grooming areas, and a super large indoor all weather sand arena. Also they now have a massive tack room and everything has its own home rather than being piled on top of each other. It's definitely a one of a kind place and they have worked so hard to build it up to what it is today. 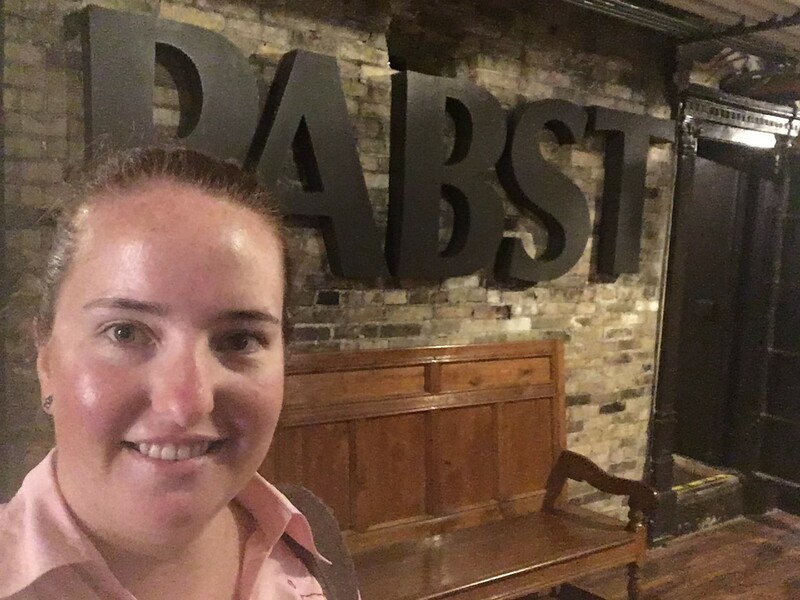 I did a couple of touristy things like visit Lake Geneva for a gentle paddle in a kayak, up to Pabst brewery and Great Lakes distillery in Milwaukee. Natasha's favourite place for a little relax time was to head to Etherial Chocolate where they made pretty good hot chocolate. I am currently on my two weeks break between the two parts of exchange between states and have visited some friends from home and done some of my own touring. Next week I head over to South Dakota to continue with the remaining time of exchange - and it will start to get a tad cooler. So I am now four months in to my six month exchange to the United States of America, sponsored by Betta Milk. It has gone so fast and have enjoyed seeing lots of different places around America, I have been in 20 states to date. 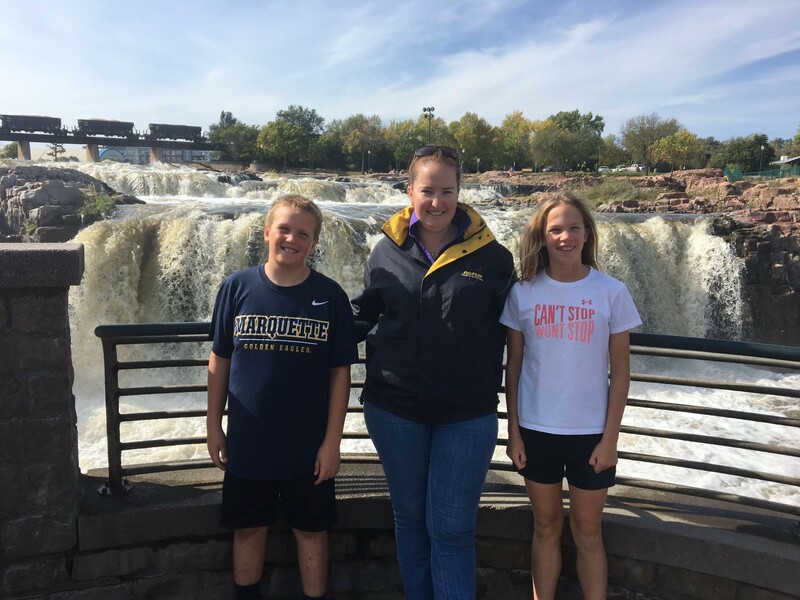 I arrived in to South Dakota on the 19th of September and my first host meet me at the bus station and then we headed 45 minutes north of Sioux Falls to Colton where I would be based for three weeks. Heidi lives with her partner Mark and son Brody who is 10. Heidi works for Boadwine farms who own three farms milking 7,500 cows on three different animals sites, (2,180, 2000 & 3,400). Mark works at a John Deere store about an hour away and Brody attends the local school, and even on a day when I visited to give some talks found out that Liz and Mary Jo Ozman (2013 exchanges to Tasmania) went to school there at Tri-Valley. As I have seen all the way though out America the cows are inside for a couple of reasons being that they have such extremes in weather with really hot summers and really really cold winters. (They have been telling me that our -7deg C mornings would feel like summer to them; their winters can be at a constant -30deg C). 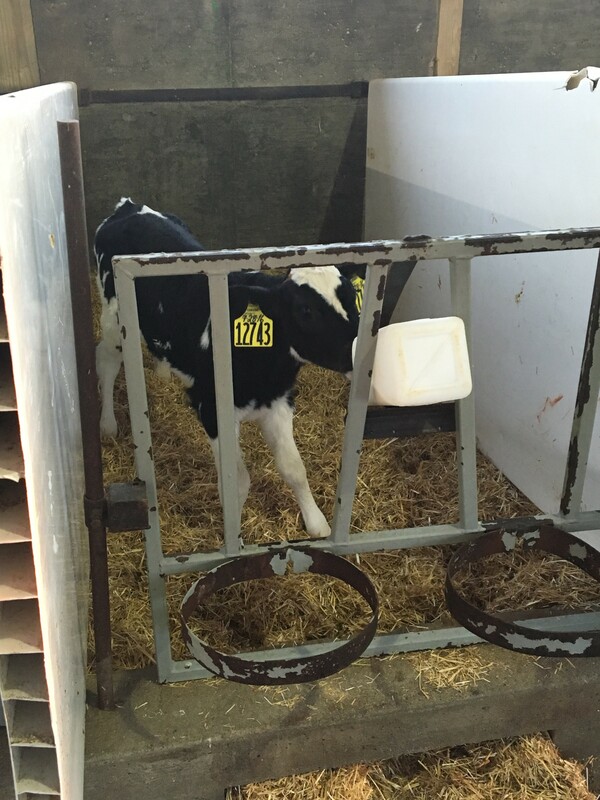 Being inside means that they can keep the temperature at an optimum temperate for the cow so they don't have to regulate their body temperature using energy that could be used to make milk. The cows are milked three times a day on an eight hour roster for both cows and the people milking them. 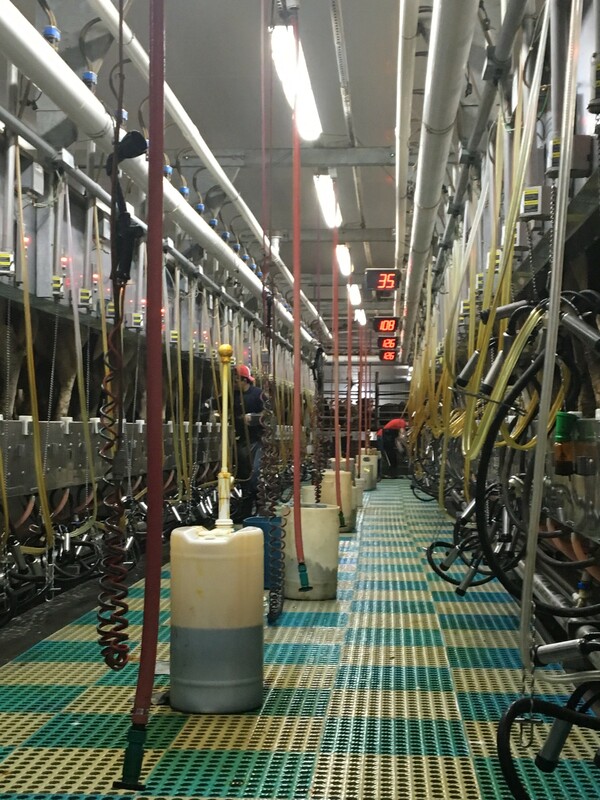 All of the farms have parallel systems milking 30 to 45 a side. From when the cows walk in to the shed and are first touched to clean the teats to when the cow is cupped on it's 90 seconds (clean all then come back to the first to cup on from the start), one neighbouring shed even had timers there so everyone is working at the same speed. At the farm milking 2180 each shift they are filling a vat which is approximately 26,500L, so sending out over 556,500 litres of milk a week. There are some sheds about that don't even have a vat on site and they direct load on to the milk trailers and a new tanker is brought and swapped over, there is usually always three tankers sitting ready at the farm. They are feed specific rations of feed depending on how many days in milk they are to ensure the maximum production, some pens are even feed three times a day as they are producing some much milk, other pens are feed twice a day and all feed is pushed up to the cows every few hours, so they are never hungry. To lie down and rest the cows don't have to go very far, literally just turn around and there is a nice soft sand bed waiting for them, which is 'fluffed' up wiht an attachment on a bob cat while they are being milked. Then there is the manure for all these cows! 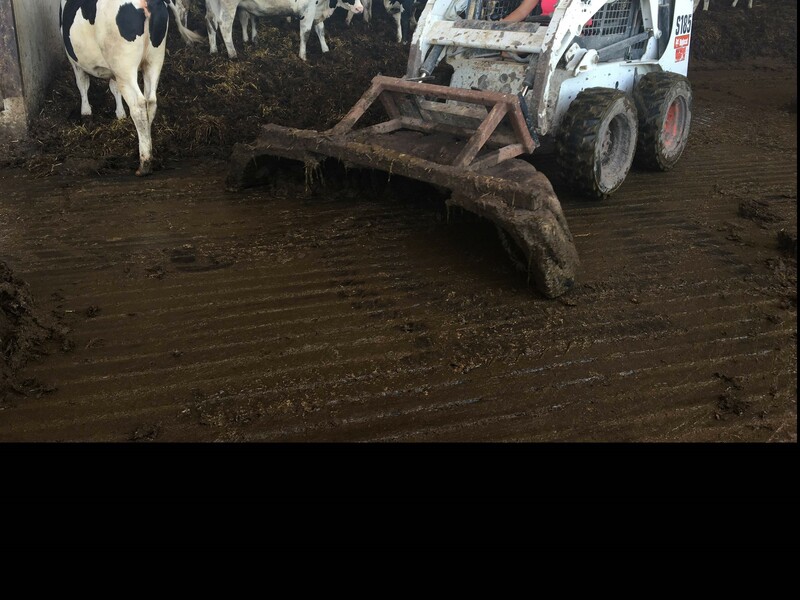 While the cows are being milked the lanes are scrapped out with the other bob cat and and in to the underground system to then have the sand removed from the solids and then pumped in to the effluent pond. They need to have enough storage for 12 months worth of effluent as it is direct 'knifed' in to the ground in early autumn after all the crops are harvested. I was able to visit a pig farm where the raise piglets from weaning at 13 weeks to six months at a wean to finish operation. 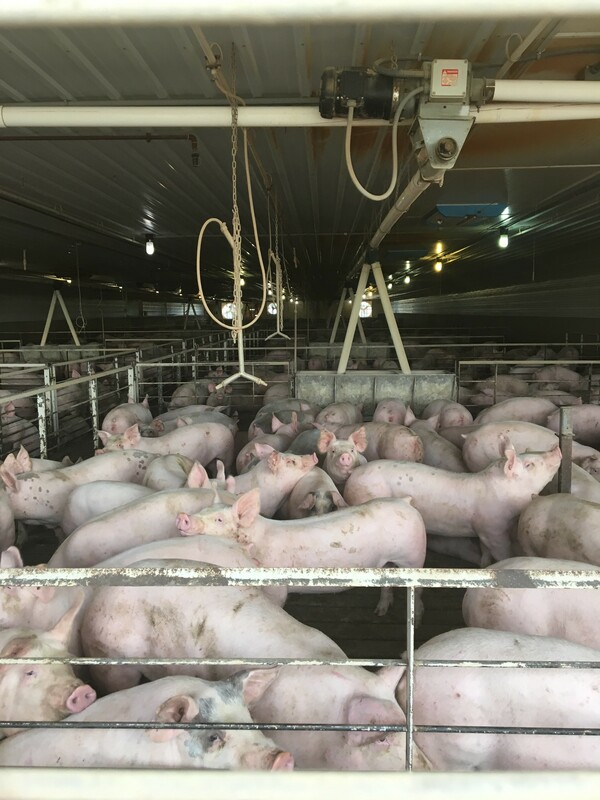 14 farmers in the area own all the sows at a seperate facility and have one or two 1,200 pig barns where the piglets are delivered to them at 13 weeks. The farm I visited was the Greensways and Brad was since named Americas pig farmer if the year. He has so much knowledge and so sincere in the way he treats the pigs. 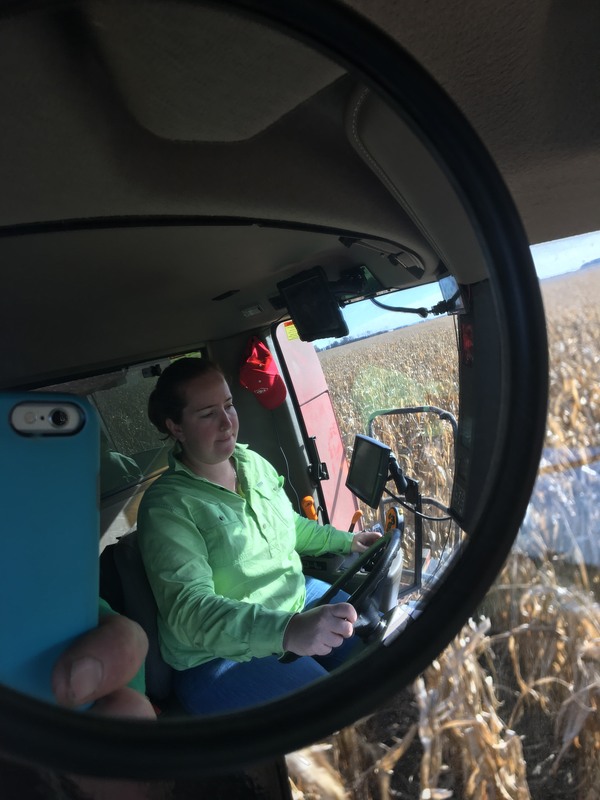 On the last few days with Heidi we travelled out to west South Dakota for a women in agriculture conference where she was a finalist for the South Dakotas women in agriculture award, sadly she didn't win, but we meet some amazing women from all over South Dakota! We took the chance to have a look about visiting Mt Rushmore, Crazy Horse and Devils Tower, for the three day trip we did about 1,600kms (1,000 miles). That ended my time with Heidi, Mark and Brody before heading to Sioux Falls for a few days to begin my next host family. 1. A neighbouring shed with the timers above the cows to make sure that the 90 seconds is kept to. Another month gone during my exchangee. I finished up in Colton, north of Sioux Falls and then my next host was a split hosting between a parents and daughters families. 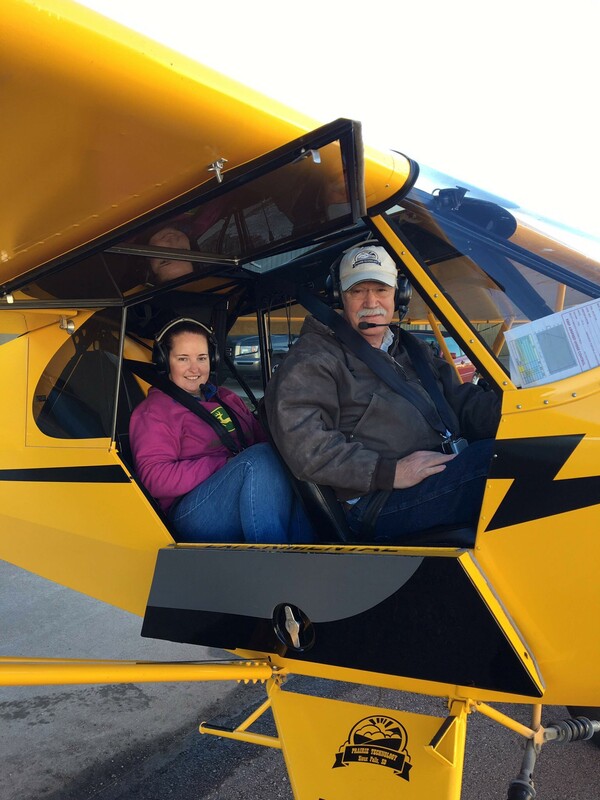 First I spend 5 days in Sioux Falls having a look around and doing school things then it was two hours west to her parents place at Kimball. In Sioux Falls I stayed with Jackie, Chris, Grace, Anna and John. I got to see the falls, the town is named after the Falls and at the moment they are running pretty well due to the couple inches of rain over the past week. There was also a tower that we could go up in to and look over the falls which gave it a great over view. Jackie and I then made a visit out to EROS, Earth Research Observations and Science. EROS have satellites flying around the earth about 400 miles up taking images all around the globe. The satellites do one lap of the earth every 16 days. There are mostly two satellites in orbit at once (for years at a time), so bringing back a new image therefore every eight days. Of an evening the kids mostly had some kind of sport to go to, either soccer, cross country or horse riding, and of course there was homework which I stretched my mind back to grade 8 science. I also went to Anna and John's classes and gave them a presentation of my life. The funniest questions was can you ride a kangaroo? Do you name your cows?, yes one, two, three, four - they got the gist it was no. On Friday we all piled in the car after school and work and headed west to Kimball. We arrived about 7:30pm to meet Jackie's parents Sheryn and Duane along with some other family. Sheryn had a home cooked meal all ready so we all fitted around the dinning table - just, with 17 of us in total. There was a lot of people at the farm this weekend as it was the opening weekend of pheasant season, which runs from the third Saturday in October until the first of January. There was lots if extended family there for the weekend and some other friends who come every year for pheasant season. The next morning we all congregated in the shed and a couple of families had provided lunch for everyone so we all had something to eat and then headed out to start hunting at noon. A few blockers went to the end if the paddock to stand and shoot any birds that fly up. The rest if us spread out and started walking through the corn rows. A couple of birds would fly up and anyone could take a shot at it. But the catch was they are only allowed to shot rosters so if a hen flys up hen gets yelled out so that people don't shoot at it. We hunted various paddocks over the weekend and ended up with 29 for the weekend. Mid afternoon Sunday everyone was packing up to go home and it was just back to the three households on the farm. Sheryn & Duane, Duane's brother John and his wife Jill and John's son Clay and family. For the start of the week they were starting to do their harvest, starting with the soy beans, unfortunately the moisture was a little high so their cousin who owns half of the harvester had soy beans that were under moisture, so he used it for the week to get his out. With not a lot else going on on the farm Sheryn took the opportunity to take me to to see a couple of local sights. We headed in to Mitchell to the worlds only corn palace so an Irish music concert. 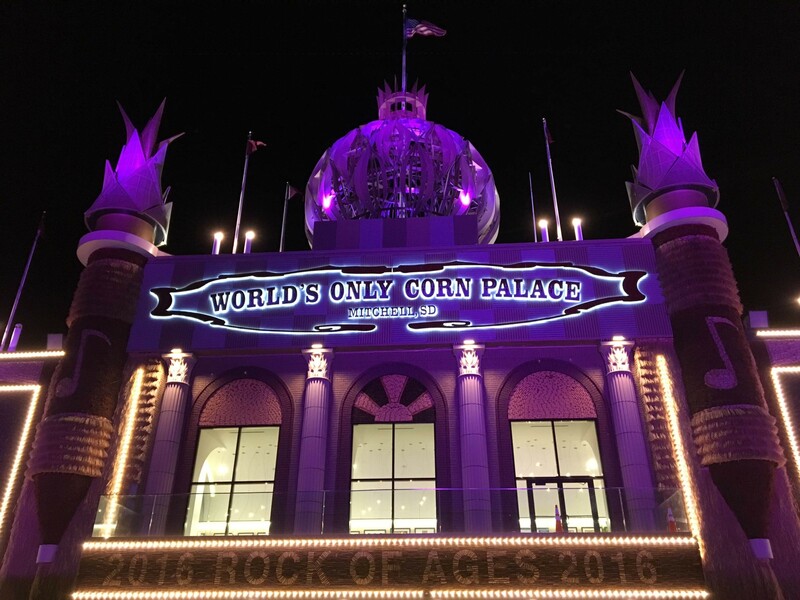 The corn palace is pretty amazing using differ varieties of corn and other plants to decorate the building inside and out. 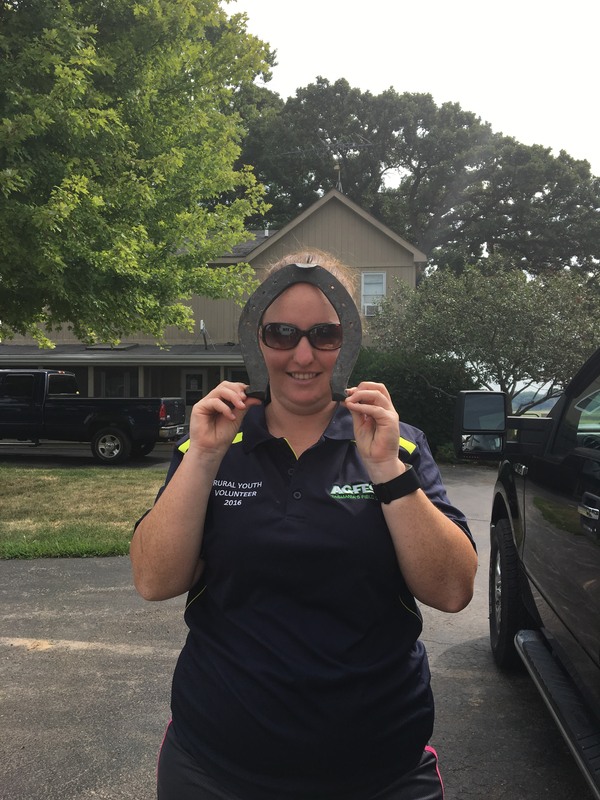 It costs $130,000 to replace the outsides each year, but this year they were trailing to leave it for two years to see if it lasts and reduce the large cost. 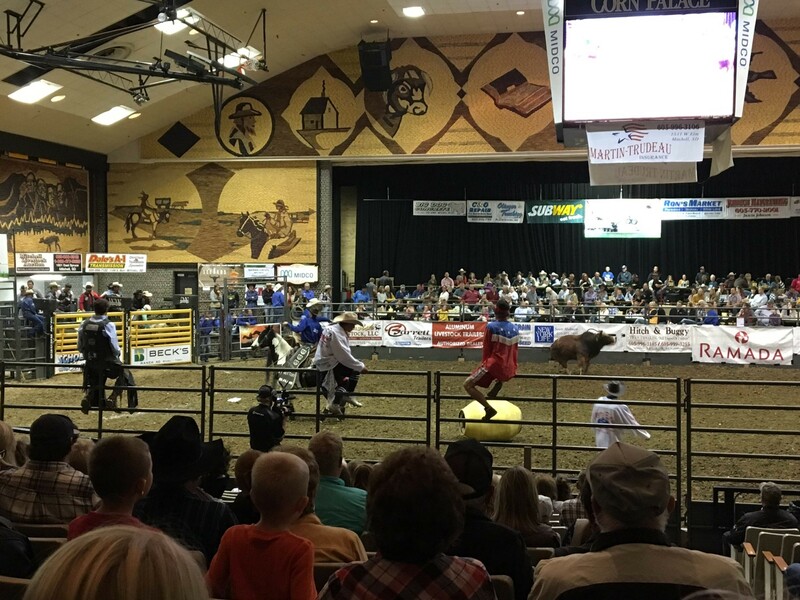 We went back on Friday evening for the corn palace challenge a rodeo which was held inside. The basketball court inside was totally transformed in to an arena. My last few days were headed down to Omaha, Nebraska to spend some time with Sheryns other daughter Julie and family where I went to the library and swimming with her twins Luke and Lily. Jackie and family were also down there playing a soccer tournament so I got to see the kids in action at soccer. Then it was on to my second half of my stay in South Dakota. 1. John, Myself and Anna at Sioux Falls. 2. Worlds only Corn Palace, Mitchell SD. 3. Duane, Myself and Sheryn. 4. The Corn Palace challange. Another 3 weeks has gone past so quickly. 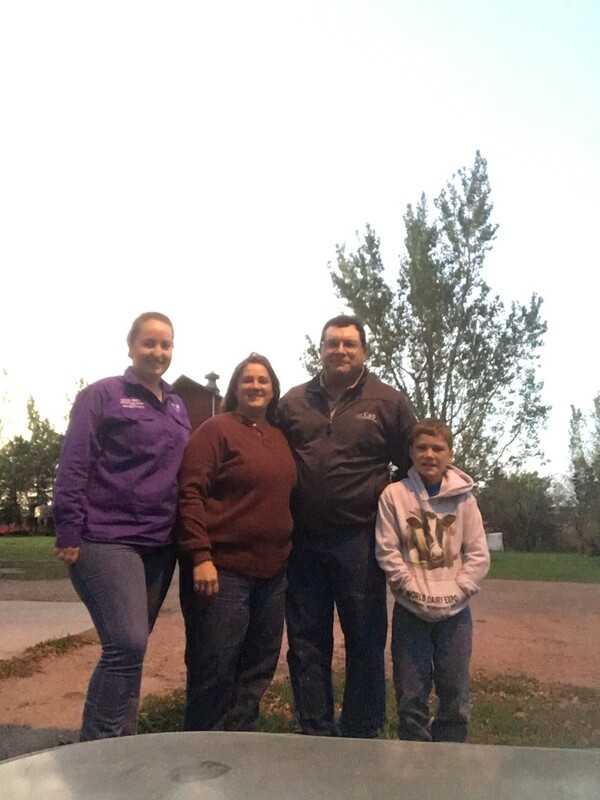 My host for these few weeks was about 20 minutes south of Sioux Falls at Lennox with Gordon, Sarah and daughter Hannah, their other daughter Karisa was in studying in Sioux Falls. Gordon and his brother Gailen share farm together on the land they grew up on and some more that they lease. They grow soy beans and corn like most of the farmers in the area, but they don't have any cattle. 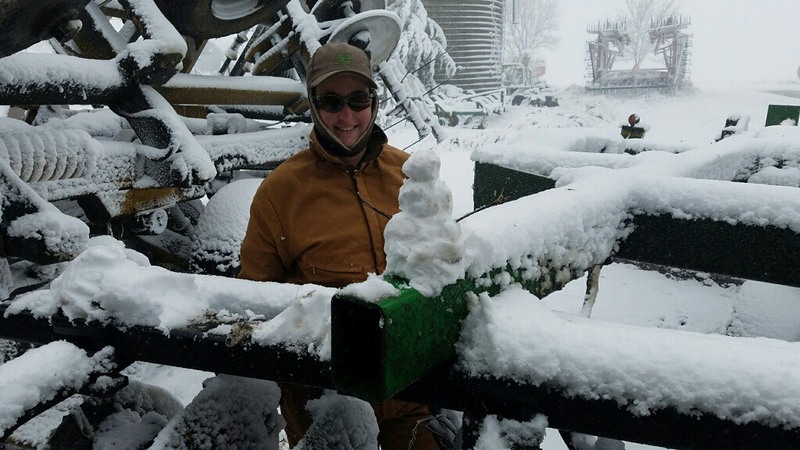 When I arrived they had harvested all their soy beans and were just waiting for the corn to be dry enough, though they couldn't wait to long as the winter weather and snow would arrive soon. Corn that was still too high in moisture was put in to a silo and then dried though a grain dryer which could do 600 bushel an hour. 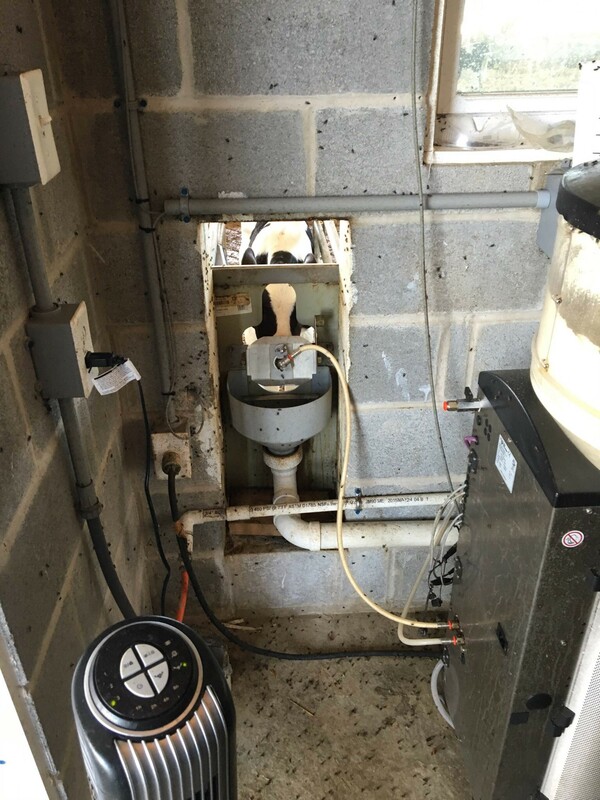 This was all working fine until there was a slight mis hap with a sensor that fills the dryer and there was a nice pile beside the dryer to clean up. I was driving the chaser bin to collect the corn on the go from the harvester and then out in to the wagons or truck to take to the silos at the yard or in to the ethanol plant just they other side of Lennox. Gordon is a red follower and prefers the case brand and considering I arrived at the house with a John Deere jumper and photos of John Deere in my album that was his mission for the few weeks to try and convert me from a green girl to a red girl. But no he didn't succeed. Just prior to me arriving a close friend and neighbour of theirs had died suddenly just prior to my arrival and he was only part way through his harvest so on a Friday I was apart of the group of farmers in the area to join forces and harvest the last of his corn.There was approximately 8 harvesters, 10 chaser bins, 15+ trucks and 10+ others who came and help unload some corn in to silos at the house and serve us all lunch. It was wonderful to be apart of something so special in the community. Just like a home when the going gets tough everyone bands together. 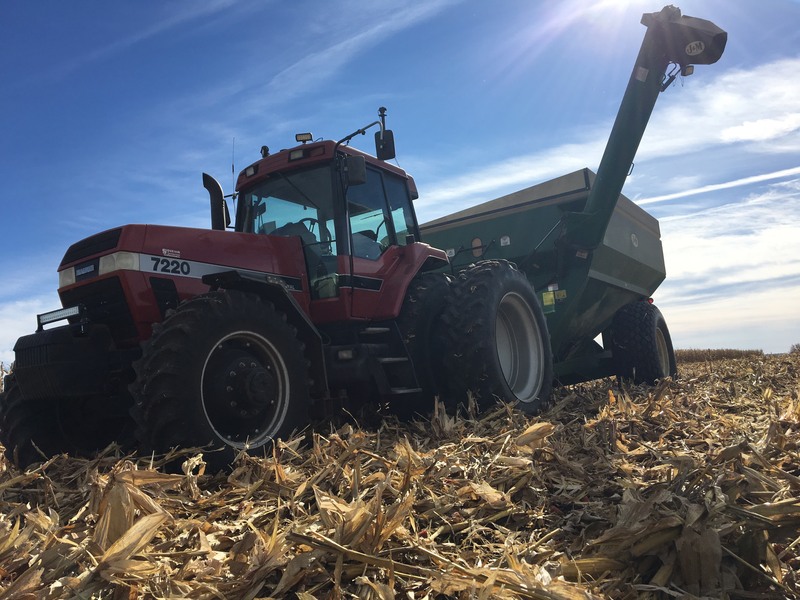 This same day we finished the Gordon's corn harvest and then it was in to getting the discs ready to get as much ground work done as possible as there was a snow storm due on Thursday night / Friday the following week. In amongst two funerals that Sarah had to do as pastor of their church Gordon was able to keep the four tractors going to fertilise and disc the paddocks that needed to be done. We got all the fertiliser on the paddocks, the corn stubbles dished and then most of the bean paddocks which wasn't so urgent. On the Thursday evening the rain started and it was getting cold. Then Friday morning as promised I woke up to snow all over, about 4-6 inches had fallen and it was still windy and snowing outside. We waited for the wind to ease off a little then put some snow suits (like overalls - but thicker) on and went outside for a look. We had a play in the snow building a little snow man and walking past way down the driveway where we had to walk backwards so you could breathe as the wind was so strong. The wind was blowing snow and we could only just see the road less than 50 meters away. Pretty fun day, even if we were held up inside all day because it was to dangerous to go anywhere. There was also a couple of day trips around the area to Pipestone national monument where family tribes still harvest for pipestone today and a little gorge near Dell Rapids which was pretty at sunset. We were then able to catch up for dinner with Karisa in Sioux Falls. To round out the end of my three weeks with the Hagena's they were having an early thanksgiving with part of the family who was traveling up from Texas (snow & cold was a shock for them), we celebrated with them and then it was on to my last host in Sioux Falls. 1. Tractor I was driving for the chaser bin. 3. My little snow man on the discs. 4. 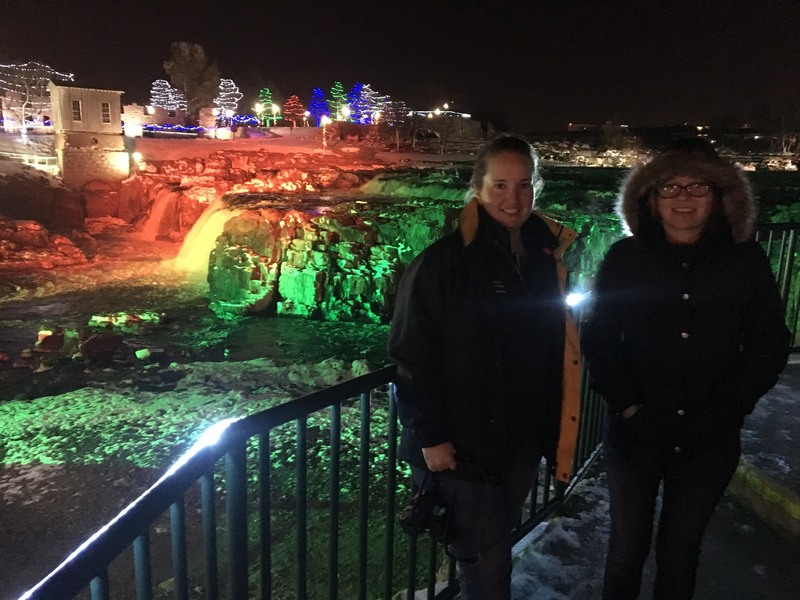 Hannah and myself in front of a snowy Sioux Falls. I have now arrived at my last host for my exchange! 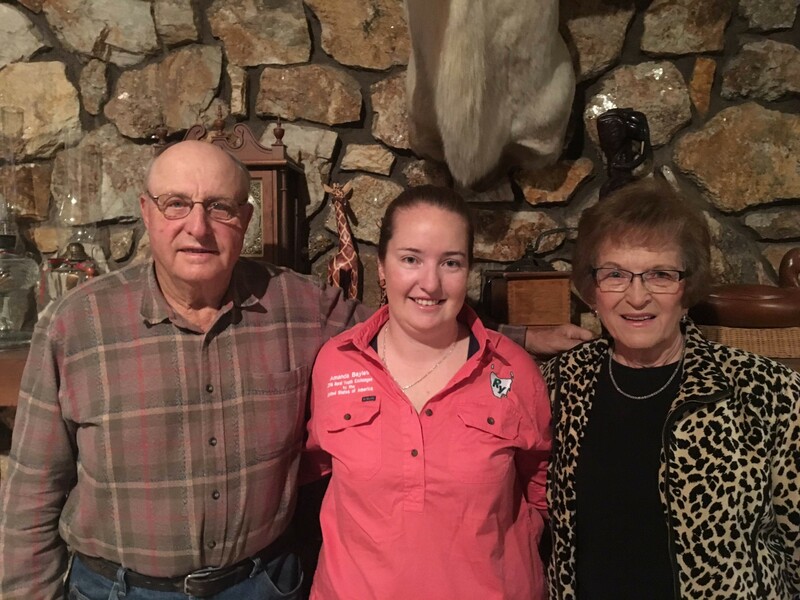 I have moved in with the Osmans and for members that were around in 2013 the twins Liz and Mary Jo came on exchange to Tasmania staying six weeks over the Agfest period, so with faces that I had meet before, and with their parents Bill and Wanda. Bill and Wanda have built a truck conversion business up over the past couple of decades; creating moulds for backs of trucks. He came up with the idea after a job he had was driving trucks from the west coast of the USA to mid USA, he figured that after they had been used for the long haul trips then people, mostly farmers would then want the trucks but the sleeper cab takes up lots of room so cutting this off and replacing with a day cab would be more use for farmers. So trucks are brought in to the workshop as a sleeper can and in a week later they can be driven out as a day cab. The business makes all these backs of the cabs to go on these trucks. It has even got big now that they have a franchise in Canada and also sell the kits around America where people can do their own conversions. During my time with the Osmans I was able to help out with the warehousing part of the system where Liz and I were packing orders up ready to be shipped out and some that they were doing for stock. So after a couple of weeks of building conversion kits and suspension kits I knew lots more than when I walked in to the business. Mary Jo helped a little in the warehouse but was mainly learning the office procedures. During my time with the Osmans I also was able to visit some more Sioux Falls scenery that I hadn't got to yet which included the catholic cathedral which refurbished a few years ago which restored a lot of the old architecture and also enchanted it as well. Wanda and I got to the local meat locker (mini abattoir) where we saw beef coming through on the line and packed in to individual lines, and it was also during deer seasons and a really good one at that with three semi trailers full of deer carcass in the parking lot ready to be cut and packaged. Alan the USA coordinator based in South Dakota was able to arrange to take me up to South Dakota State University (SDSU) for a day where we saw cheese being made - other days ice cream, talking about Australian and American dairy systems and then a tour of the dairy farm. A great day to see what happens in what's know to be the best dairy university in the county. I also accompanied the girls to other activities that they had on, a really good look about. One particular was the Christmas parade and unlike us was held at 7pm at night which is obviously dark so it is a lights decorated parade which looked amazing! I left the Osman's on the 9th of December which was the end of my exchange but am continuing on with some personal travel in Canada and the UK where I am planning to meet up with some past exchanges that I have hosted over the past 13 years, so a bit of catching up to do. Some life long friends amongst past exchangees! This will concluded my updates from my exchange, on just a last note, if you are thinking about how fun an exchange could be now is the time to start thinking and chatting to your boss about some time off and saving some cash. Most employers will be happy to work with you to have a solution while your away as the experience you have while your away will enhance you as a person. I would like to thank Betta Milk for being the naming rights sponsor of this exchange, for Rural Youth being the organiser and my employer for giving me such an extended perm of time off in the busiest period of the year, it has been an amazing six months on exchange with its ups and downs but I have come out a different person. On return beck to Tasmania I would really love to share my experiences with you and your club or club outside of Rural Youth, so please contact me on baylesam@hotmail.com and I look forward to telling you more about my time in the USA .